Optimole is a new image optimization service and CDN for WordPress websites. Automatically optimizes all your site's images through compression, conversion, resizing & lazy loading. This cuts down extra bulk to improve page speed and efficiency. Easy implementation utilizes their native WordPress plugin. Will automatically handle all the image optimizations and file serving. Advanced features like a custom domain require help from support. There is a free plan currently available for small sites as it has heavy constraints. 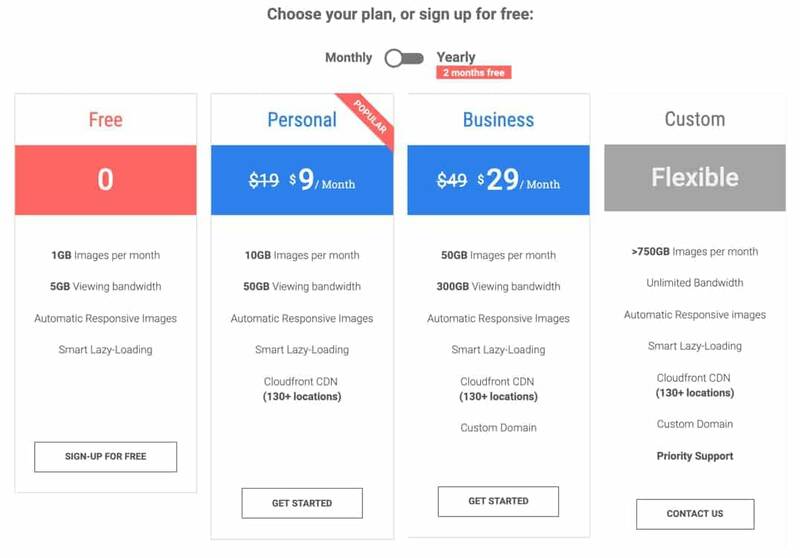 Medium to large sites can purchase a premium plan starting at $9/month which includes Amazon's Cloudfront CDN. 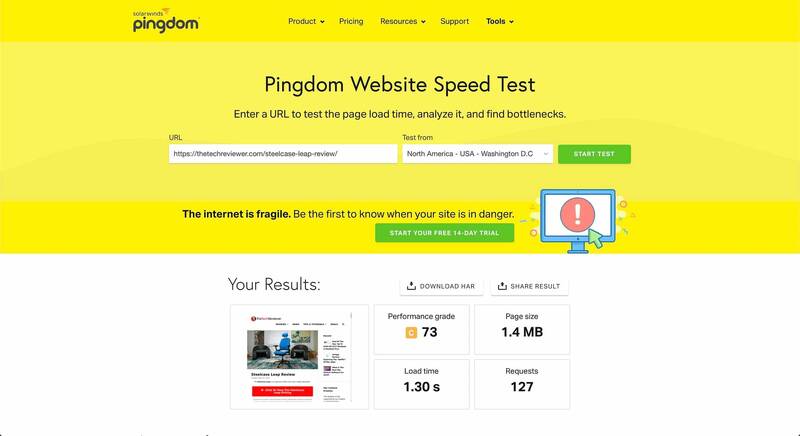 During our review period using Optimole on this website, we saw dramatic increases in page speeds and cuts to our page's data size. Our images on average were cut by nearly 80% in data savings without any notable lack in quality. For the price, the Optimole service plans are a no-brainer if you wish to take your WordPress image optimization to the next level without the hassle or complexity of configuring it all yourself. We did experience some issues with the current calculations of Optimole's image size quotas being drastically high and unpredictable, but upon bringing this up to support they assured me they are aware of this dilemma and will make appropriate changes to this issue in the near future. Optimole is a service that could realistically benefit any WordPress site owner both on a personal or commercial level. However, it does have some minor costs associated with it that may not be within all potential user's budgets. 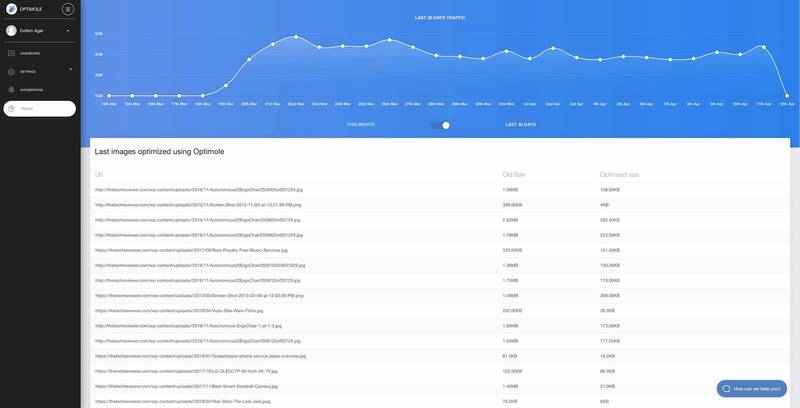 If you care about SEO or improving the customer experience on your website across all locations and devices then Optimole is an easy investment. WordPress is the platform of choice for many modern websites. This is due to it being open source, easy to manage and has a huge assortment of quality plugins, themes and services available for it. Google now consider webpage speeds as a ranking factor in their mobile search algorithm. With mobile traffic on the rise, the focus on having a fast webpage speed is as important as ever. Don't get me wrong, the page speed factor is one of many major ranking factors within the search engine's algorithm. However, it remains an important one that will help you gain an edge over your SEO competition. One of the easiest ways to speed up a WordPress website is through proper image optimization. There are a lot of services that can aid with this such as image compression and content delivery networks. Achieving perfect image optimization for a WordPress website isn't easy and there are many steps involved. 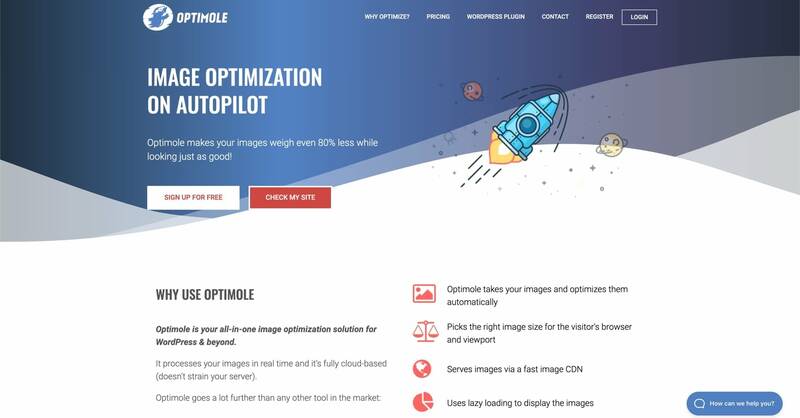 An innovative image optimization service called Optimole has launched in recent months. Optimole's approach takes the difficulty out of advanced image optimization techniques. In the following Optimole review, we will be discussing the service from a new user's perspective. We will cover the most important topics including the Optimole pricing. notable features, installation and performance. This review is NOT sponsored by Optimole. All opinions expressed within this review are based on our own, first-hand experience. We paid for the Optimole plan with our own money and nothing was provided to us for evaluation purposes. Optimole isn't a traditional premium WordPress plugin, it is more of a premium WordPress service. With that comes monthly costs for those running a medium-to-large sized website. As of their recent launch, they do offer a free plan for small WP sites. This isn't guaranteed to be around forever as the Optimole service grows in popularity. A no-cost plan for those with tiny websites or are looking to test the service without committing any money. The free plan is vastly limited compared to the premium tiers. You are capped at just 1 GB of images optimized each month and 5GB of total viewing bandwidth. The free tier has access to the responsive and smart lazy-loading features. You'll still have CDN support is also limited to 7 locations around the globe. The personal plan is first tier of the paid plans and it starts at $9/month. For this low monthly cost, your limits increase to 10 GB of images optimized each month along with 50 GB of viewing bandwidth. As expected, the personal plan utilizes the smart lazy-loading and automatic responsive images. The CDN with the premium tiers bumps into the Cloudfront CDN which is powered by Amazon's cloud services (aka AWS). This increases the number of server locations from 7 all the way up to 130+ locations across the globe. The expanded CDN offers significantly faster image speeds regardless of users' locations. You will not be able to use a custom subdomain for serving the image assets with the Personal plan. Instead, you will have a random Optimole URL serving your images. This isn't the best for SEO, but not everyone will care about this. Moving up to the mid-tier $29/month ‘Business' subscription, this is the Optimole plan that we are currently using on our site. While the jump up $20/month is steep to some, you are granted large increases in plan limits. This includes 50GB of optimized image files and 300GB of viewing bandwidth. With the Business plan, you get access to the same AWS Cloudfront CDN as the Personal plan. You also get access to a custom domain meaning in our case we use cdn.thetechreviewer.com to serve our images. The pain with this custom domain feature is the setup. Despite it listed as a feature on the Optimole pricing page, there were no settings in the user interface to configure this nor anything about this in the documentation. To get this configured, I had to contact the Optimole support and open a ticket. One of the support reps helped me as they had to configure this within their Cloudfront settings. I then had to make a CNAME with the proper URL reference and it worked shortly after. If you aren't familar with making DNS changes, this might be confusing to do. Optimole offers custom plans if you are an enterprise level site that needs higher limits. There is no advertised price for the custom plan, but those interested can contact Optimole support. They should be able to sort you out and give you a pricing estimate for your site's needs. Beyond higher limits, custom plans offer priority support meaning you'll get the fastest response times. Features: How Does Optimole Improve Your Images? There are a TON of different image optimization services for WordPress websites. To achieve what Optimole does, you'll need to combine many types of these services to work in tandem. Even then, it is very difficult to achieve the same speed increases offered by Optimole. A common form of image optimization is compression which reduces the file size. This is the same as popular compression services like ShortPixel, Imagify or Kraken. These services will remove unnecessary metadata saved within the images. Often, these services will carry out lossy compression which may lower image quality in exchange for a large data savings. Optimole offers both lossy and lossless optimization algorithms so you can choose to whether you want to favor data savings. Within their native WordPress plugin, they offer you to choose from low, medium or high compression or leave it on auto. The automatic is what we use and the algorithm will choose the best balance of savings and image quality. Beyond compression, Optimole will actually convert your images to WebP to serve them to supported browsers. If you aren't familar with WebP, it is a next-generation file format developed by Google. WebP allows you to further compress the file size of images without losing further quality compared to a compressed JPEG. The catch with WebP is that it is as of now only supported by a handful of browsers and platforms. These include Google Chrome, Opera, Firefox and Microsoft's Edge. So converting your files to WebP isn't always useful if your visitor's won't be able to natively view them. 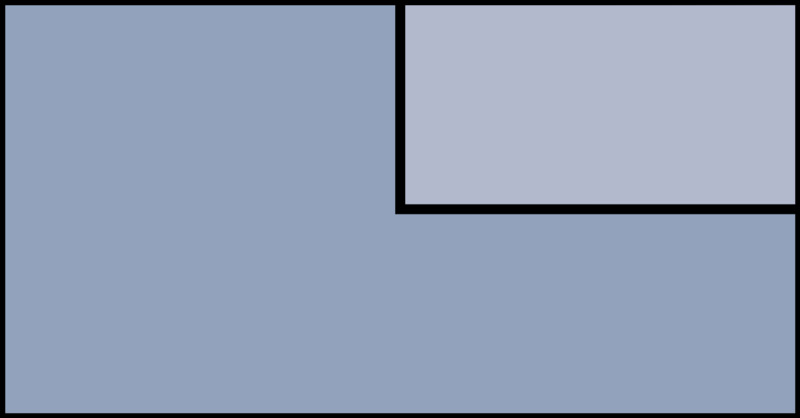 Depending on your setup, you may be serving oversized images for your visitor's viewing devices. This results in wasted data transfers and often a slower loading time compared to a properly resized image. Optimole handles all this on the fly. It optimizes your images in several sizings allowing it to serve the best possible image for your visitor's display at the fastest speeds. The greatest part about this, is Optimole remains Retina-image friendly. Optimole can automatically detect and load the larger, crisper images for the best viewing experience on a Retina display. If you are uploading a large image and don't want to shrink it with an image editor then you can have Optimole set a max resolution. This feature means any image uploaded that is larger than this will be resized upon upload. This means it will not store unnecessarily large images without any good reason. Depending on your plan, Optmole images will be served through their custom 7-point CDN or Amazon's 130+ location CloudFront CDN. This will speed up image delivery and render times significantly compared to serving directly from a local server. You can setup lazy loading through many different WordPress optimization plugins or services (CloudFlare, WP Rocket or Swift Performance to name a few). However, Optimole's works the best from our experience. The main downfall that some Optimole users may complain about is their lazy-loading technique uses filler images. These placeholder images show as pixelated versions when the full-resolution is still loading. We prefer this technique as it doesn't stay like this for long, but we know some prefer the no images at all until the full resolution renders. Non-destructive to original WP image library – Optimole will not touch your existing local image library and instead host and serve their optimized files on their own servers. This means you'll lose the performance benefits if you stop using Optimole, but your original media will remain untouched. All screen resolutions and devices supported – Optimole will always serve the best image for the visitor's native display. Watermark Support – those worried about image theft or proper attribution of images can upload up to five watermarks that Optimole will place on your optimized images that will be present upon serving the images to your visitors. The watermark settings offer size, position and opacity customization options. Fast processing – the Optimole optimization process operates in real-time and your visitors will receive their an optimized image without a delay. Native WordPress plugin – installing and configuring Optimole on WordPress is a breeze. Compatible with Page Builders – one of the biggest dilemmas for us was choosing an image optimization method that worked well with Elementor (our page builder of choice). Optimole works with Elementor, Beaver Builder & WordPress 5.0's Gutenburg block editor. 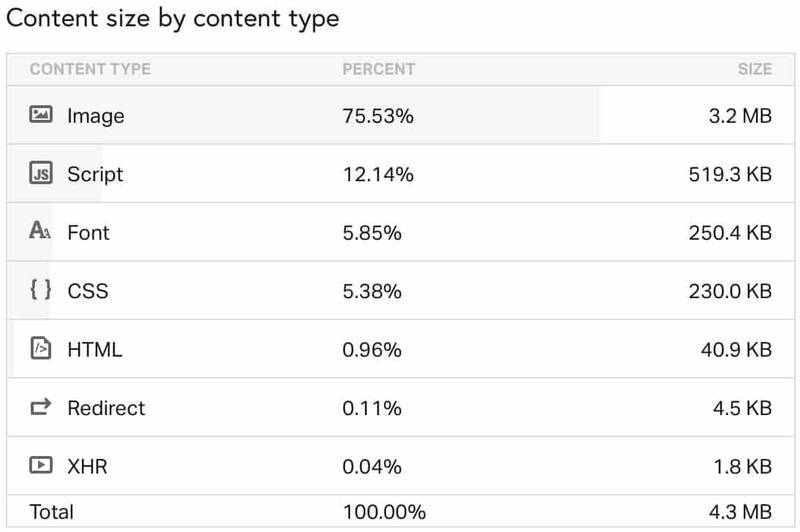 Optimization Statistics and Monitoring – within the WordPress plugin and Optimole website, you'll gain valuable data insights such as monthly usage, average compression percentages and recently optimized images. How Easy Is Optimole To Setup & Configure For The First Time? One of the best parts about Optimole from a user prospective is that takes all the complications out of advanced image optimizations. There is a native Optimole app for WordPress found within the public WordPress plugin repository. After installing it on your site, just signup for an Optimole account and link your API key to get the process started. From there Optimole will begin optimizing and serving your image library according to your visitor's device. Everything is done in the background so there is no disruption to the user experience. All optimizations are processed off-site. This means you won't experience any increased resource usage on your own server nor will your local media files be altered in anyway. The beauty of the Optimole service is that it offers a non-destructive optimization experience. If for any reason the service goes downhill or you don't think you need Optimole anymore, you can uninstall the service and not experience issues. That is besides the speed increases as you'll now be serving them from your local WordPress image library versus the CloudFront CDN. An overview of the Optimole WordPress plugin dashboard where you'll link your API key. 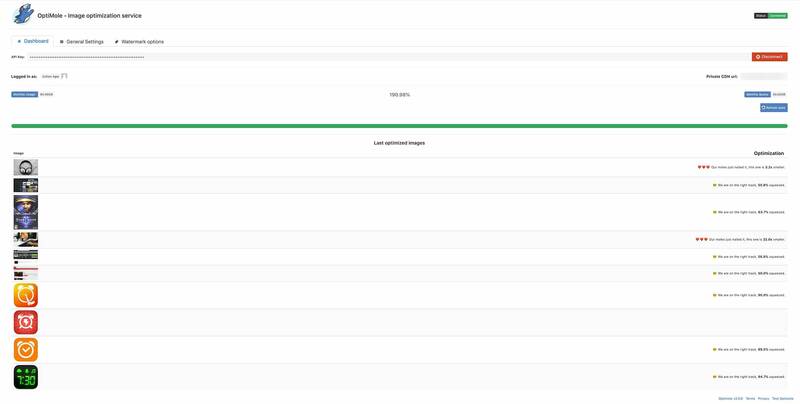 Optimole's general settings tab within their WordPress plugin. Optimole's watermark settings within the WordPress plugin. Before using Optimole, our image optimization started with image compression services such as Shortpixel and Imagify. We initially used Lossless compression, but eventually switched to Lossy about 5 years ago. The switch was made as services have gotten so good at removing the bulk while keeping the image quality close to the original. Coupled with resizing our images to the maximum Retina resolutions and using a CDN, we thought our image optimization was pretty good. It wasn't until we started testing the Optimole service that we realized how much farther we could go. We found these to be pretty unbelievable statistics especially considering the average compression being almost 80% smaller than our local images which were already compressed to Lossy. Real Optimole Results: How Much Smaller Is Our Page Size? While the statistics are impressive, the question is how much does this Optimole save us when it comes to the actual load time and page size? We ran a test within minutes of each other on the same sample page on our site. The same page is a review of the Steelcase Leap office chair. This was a great testing article as it is an average piece of content for us being an in-depth review with nearly 3K words. Coupled with our lengthy reviews, there is an assortment of high-resolution photos showing off the quality and design. Comparing the two, we are seeing some major shifts in the positive direction in terms of both page speed as well as page size. Given the ease of use, performance and affordability of Optimole, we don't have much to complain about as it speaks for itself. However, we are currently experiencing a major gripe with the optimization usage calculation. Our WordPress folder housing all our uploaded images was only 4.67GB (already Lossy compressed and resized). This is still large, but nothing too drastic considering this is all the images from 2500+ posts over a 7 year span. Given that our library was under 5GB, we chose with the $29/month ‘Business' plan. Our site seemed to fit well within the 50 GB image optimization and 400GB bandwidth limits. This is how we expected the service to work especially the viewing bandwidth. But how we were so dramatically over in our image size quota was very troubling to us as users. We think the documentation doesn't state clearly enough that each time Optimole optimizes and serves images to your visitors which has not already been optimized for their device, the full 1MB size quota is deducted again. So if you do the math out, our 4.67GB of locally stored images have been processed more than 21.47 times more than we had expected. Logging into the Optimole web interface, I can see that we are averaging about 3.3GB of images each day which is 70.66% of our entire local library. Mostly #1 is measuring the processing power that we use to deliver the optimized image. Each image is not optimized just once, it optimized multiple times based on the browser or viewport that the user is using. For the sake of the examples, let's imagine that you have only one image on the site, of 1MB. That's the source image that we will use. Based on my first explanation on how #1 is counting I will share some possible scenarios for your site. 1. One user is viewing your image on a desktop machine with Chrome browser. Your image container has on desktop 600×600 and we will deliver the image as WebP which is the best format for this browser. We will increment the #1 metric with 1MB for this case. All the upcoming users who use the same browser at similar resolution will get the same image, cached, without incrementing #1. 2. Another user is viewing your image on a desktop machine with Safari. Your image container has on desktop 600×600 and we will deliver the image using the original format, as WebP is not supported by this browser. This will require another transformation that will increment #1 metric with 1MB for this case. 3. Another user is viewing your image on a mobile device with Android with Chrome. Your image container has on mobile a smaller version of 200×200 and we will deliver this using WebP. This also will increment the #1 metric with 1MB. 4. Another user is viewing your image on a mobile device with Safari. Your image container has on mobile a smaller version of 200×200 and we will deliver this using the original format as Safari does not support WebP format. This also will increment the #1 metric with 1MB. Those are just a part of the possible optimizations that can be done, ofc we can have a use case that can come up based on your site layout. As you can see we optimize as best as we can each image contextually based on the user device and screen. Due to this fact, the same image might be optimized differently based on your visitor's details. Due to the way this is currently being calculated, I think it will be VERY difficult from a user prospective to understand which Optimole plan is right for your site. We never anticipated a local image library of 4.67GB would result in such a drastically high usage of Optimole's image size quota. It is nearly unpredictable from a user standpoint as the size of your local library isn't a good determinant of how much you'll use over the month. This was a very concerning matter was for us as this $29/month plan which seemed perfect for the size of our site. Since it ended up being way over the quota, we reached out to support with our frustration for this issue. So far, the support has been very helpful and understanding of our concerns. The Optimole support representative stated they see the flaw in calculating this metric in this way. He said they are either planning on removing the image size quota altogether or only counting the initial run of an image towards the quota. This would mean this site would only reach 4.67GB out of the 50GB limit after all images have been processed through Optimole. Either way would be a reasonable solution that is FAR better than the current situation. He said they will be making a call of this dilemma in the coming week so I expect a proper resolution very soon. A misleading label on Optimole's WordPress plugin. 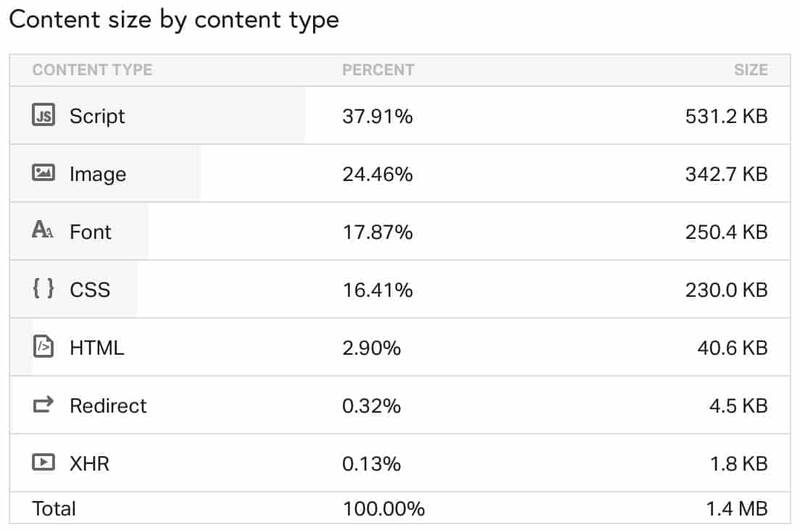 At the top of your administration pages, the native Optimole WordPress plugin will show a figure dubbed the ‘Optimole Image Traffic' and then how much of the quota used. However, this is confusing as it actually references the number of images that have been optimized (as discussed in the previous few paragraphs) and NOT anything to do with traffic which would more appropriately reference the bandwidth usage/quota. Now if Optimole decides to get rid of the optimization quotas altogether, this issue should vanish as well. However, I'd like to see Optimole rename it to “Optimole Image Optimization Quota” or something other than the word traffic as this immediately made me think as a user that it was discussing the bandwidth. Depending on your needs, Optimole could be a very valuable service for handling your advanced image optimization. From a user standpoint, it has a lot to love including reasonable pricing, unmatched features and excellent ease of use. There is a pretty big downfall in its current state with the primary Optimole image processing quota calculated in a confusing and unpredictable manner. Fortunately, we do know the team is aware of the issue and will see that it gets resolved shortly. We came into this Optimole review not knowing if the service could live up to our expectations. We are blown away with our results and plan to remain customers for the extended future as nothing has come close to the power and performance of Optimole. Hope you found this Optimole review helpful!